Facebook has already taken steps in its fight against so-called “fake news.” Back in May, the company downgraded links from sites that feature malicious ads and little content, and in April, company officials said that they would begin testing new related articles in users’ news feeds. Now, officials are moving forward with the latter initiative and rolling it out more broadly. Starting this week, users will notice “Related Articles” that appear below news links to stories that are circulating on Facebook's platform. The related articles will be viewable before users click on the posted story and may include additional reports on the same topic from different sources or articles by third-party fact checkers. "Since starting this test, we’ve heard that Related Articles helps give people more perspectives and additional information, and helps them determine whether the news they are reading is misleading or false,” the company said in an updated blog post. Officials hope that the Related Articles tool will help tip off users if a story is suspect and prevent misinformation from spreading further. For example, if you see related articles that differ drastically from the posted article, then it might be easier to take its claims with a grain of salt. 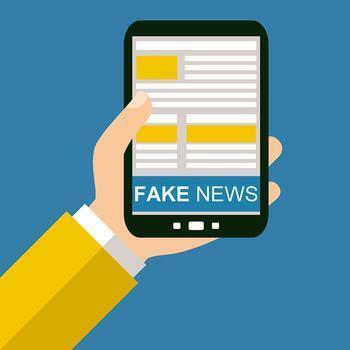 Additionally, Facebook says it will be using new machine learning technologies to detect potential hoaxes so that they can send articles to third party fact checkers for verification. “In addition to seeing which stories are disputed by third-party fact checkers, people want more context to make informed decisions about what they read and share. We will continue testing updates to Related Articles and other ongoing News Feed efforts to show less false news on Facebook and provide people context if they see false news,” the company said. Facebook has rolled out the new feature to the News Feeds of users from the United States, Germany, France, and the Netherlands because of pre-established fact checking partnerships in those countries, according to a TechCrunch report.